“Weather over the past week has been dominated by low pressure systems with cooler temperatures and showers. Precipitation totals over the past week were in the 0-20 mm range for the western half of the province and 10-50mm range for the south interior, central interior, southeast and north-east. With cooler temperatures, snow melt rates have eased slightly with typical melt rates of 15-20mm/day being observed at Automated Snow Weather Stations that have snow remaining. 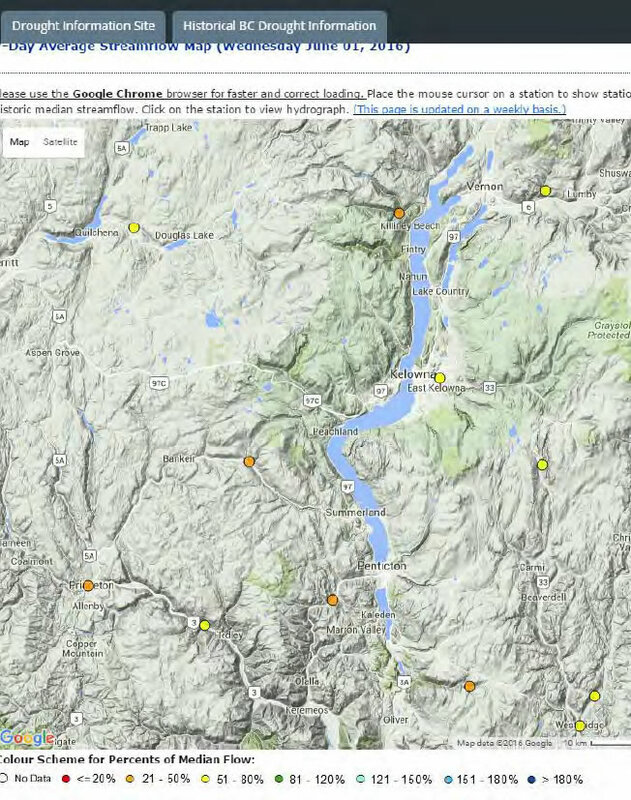 The province’s snow melt continues to be earlier than normal, with late-May conditions being more typical of snow pack that is normally observed in late-June. According to the BC River Forecast Centre, most of the province is “DRY,” based on precipitation and stream flows. This information is updated weekly, on the BC Drought Information Site. Vancouver Island is already experiencing significant drought, and looking at all options for drought preparedness (see article below). Streams in the Okanagan are now flowing below average. This is because “average” is based on a later freshet season. 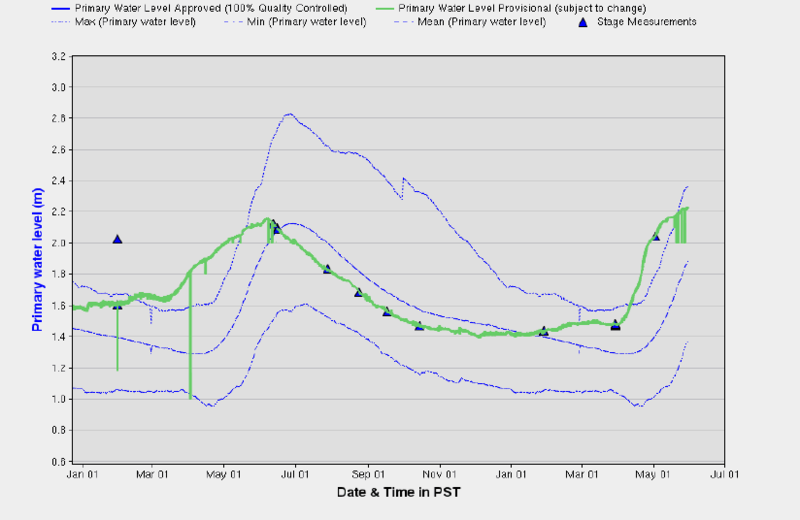 Okanagan Lake is still significantly above average, due to early melt. 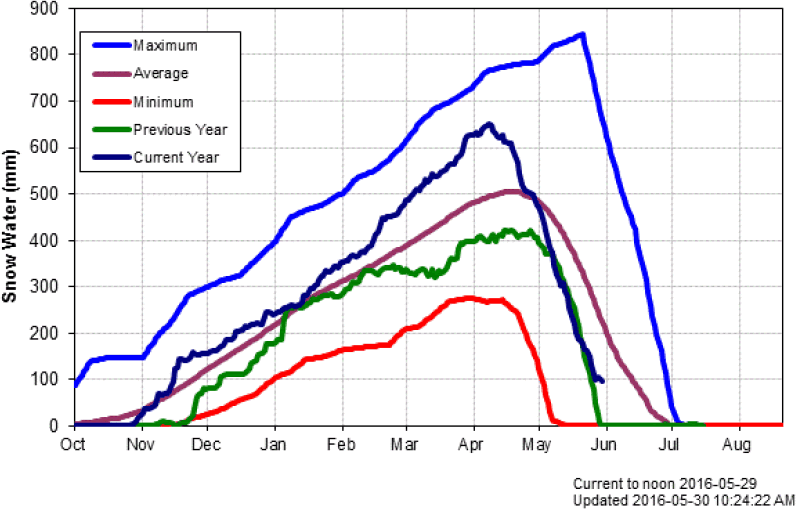 Rapid melt of above-average snowpack. Brenda Mines snowpillow melted entirely by the end of April.